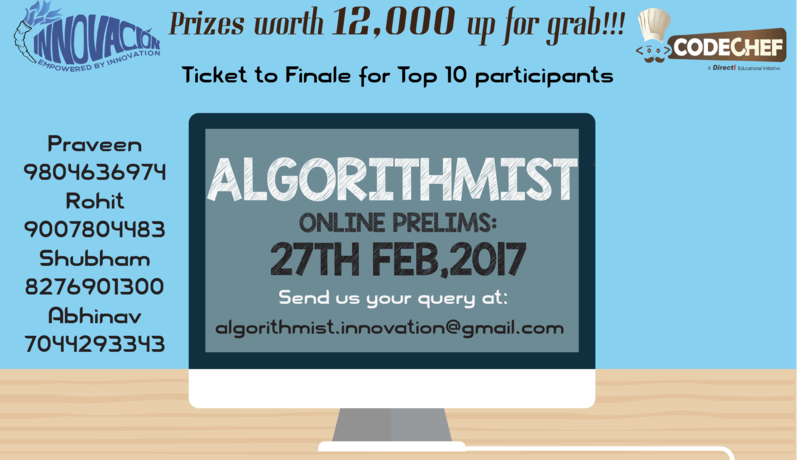 Organiser: The contest is hosted by Institute of Engineering and Management, Kolkata. Please contact rohit.aanand1005@gmail.com for any queries during the contest. There was some problem in test file of ALGOA.We have rejudged all the solutions.Ranklist has been updated.We deeply regret for the inconvenience caused.